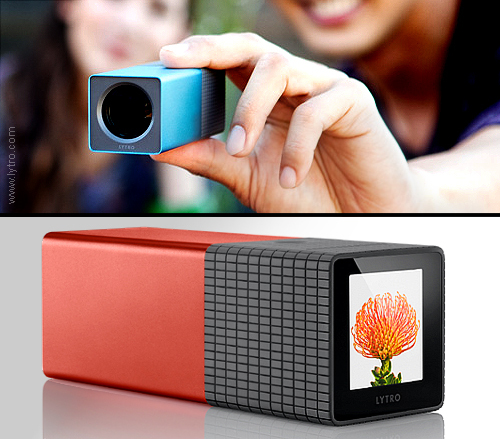 Unlike a conventional camera that captures a single plane of light, Lytro is the first consumer plenoptic camera that lets people instantly capture a scene just as they see it by recording its entire 4D light field information. The innovative sensor collects 11 million light rays of data including the colour, intensity, and the direction of every light ray in a scene, providing new capabilities never before possible, such as the ability to refocus an image virtually after the picture has been taken. Driven by its 8x optical zoom lens, which features a constant f/2 aperture, the Lytro’s iconic design was created with simplicity in mind. With no unnecessary modes or dials, the pocket-sized camera features just two buttons -power and shutter-, a touch sensitive zoom slider and an intuitive 33 mm touch screen that lets pictures be viewed and refocused directly on the camera.